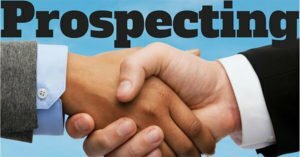 Prospecting is the key to your sales success. Your success today is a result of the prospecting you did six months ago. In this one-day workshop, you will become skilled at networking and learn the 80/20 rule. After the workshop, you will know who to target and how to target them, and remember to do some prospecting every day through warming up cold calls, following up on leads, or networking. You will also build your personal prospecting plan to ensure your future by planting seeds daily.